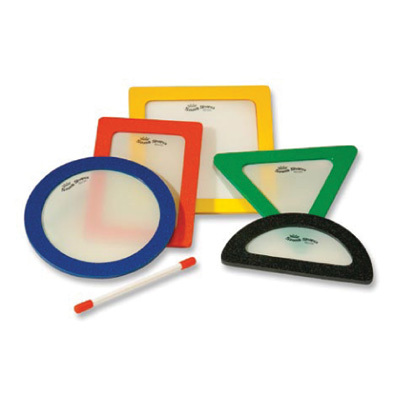 Remo Sound Shapes™ are high-quality, affordable percussion instruments that are perfect for the classroom or daycare centre. They come in a variety of geometric shapes and cool sounds that are as vibrant as their colours. Sound Shapes are suitable for anyone from ages 3 and up and meet all EN-71 and ASTM safety standards. The 5-piece pack contains 9" Sound Shapes in the shapes of circle, triangle, square, half circle, and rectangle.